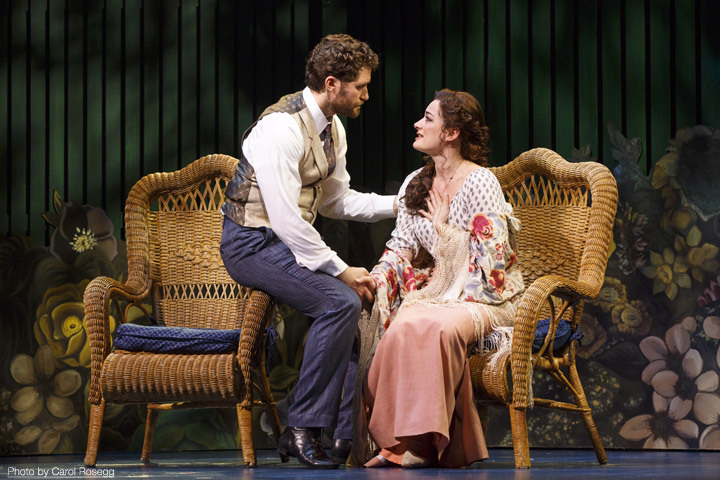 Overflowing with heart, invention and wonder, new musical Finding Neverland is an artful, amusing and affecting night at the theatre. Non-musical Motown has graciously vacated prime Broadway house the Lunt-Fontanne Theatre to allow a real musical to take up residence while it tours. 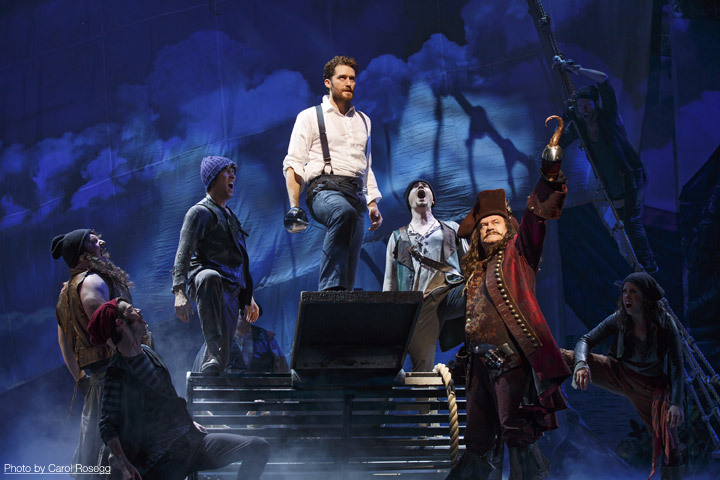 The 2004 film Finding Neverland, which was in turn based on the play The Man Who Was Peter Pan, proves to be an excellent source for a musical. 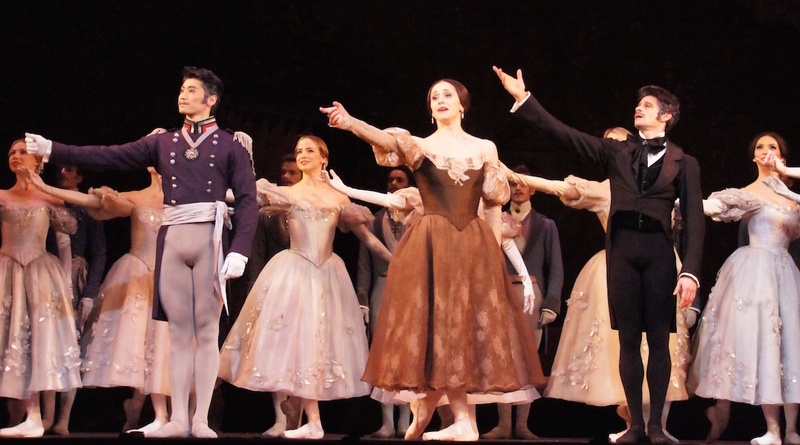 Besides its central, slow burn love story, much of the storytelling is of the ever popular backstage variety, with vain, preening actors, harried producers and the creation of magical special effects. In much the same way that Saving Mr Banks relies on our knowledge of Mary Poppins, Finding Neverland is fairly safe in assuming that the audience is acquainted with the story of Peter Pan. We can appreciate the subtle storyline elements that keep suggesting themselves to J. M. Barrie as he moves from the shackles of his proper Edwardian marriage to a friendship with a lovely widow and her four rambunctious boys. Well, one boy is more withdrawn and downhearted after the death of his father, but Barrie eventually brings Peter out of his shell and back to the land of the living. Masterful director Diane Paulus ignores the accepted advice and works with children and animals to conjure a magical world that is completely involving and engaging. Every member of the ensemble cast has a role, and when the full singing and dancing talents of the whole cast are unleashed in company numbers such as “Believe,” “We Own The Night” or “Live By The Hook” the effect is spectacular. 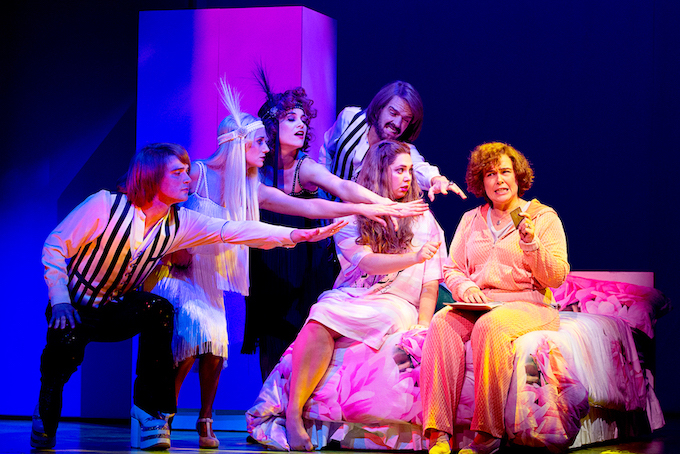 Gary Barlow and Eliot Kennedy’s songs are inserted in James Graham’s book in a slightly old-fashioned, predictable manner, but there a couple of modern musical scenes, such as at two opener “The Word Is Upside Down” as the precious actors try halfheartedly to adapt themselves to a children’s play. 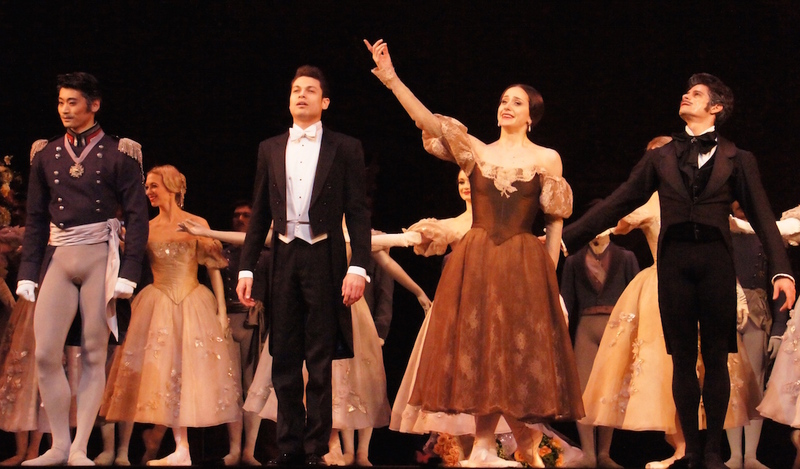 The energetic number “Play,” as the actors let loose and come around to the performing style required is really quite superb. There are gorgeous ballads as well, such as “Neverland,” for Barrie and Sylvia, and “When Your Feet Don’t Touch The Ground,” for Barrie and young Peter. Scott Pask has designed a highly attractive performing space, with the main backdrop being a lush collage of verdant trees, Edwardian wallpaper and blue skies. Kenneth Posner ‘s lighting design adds to the magic, particularly in the creation of Tinkerbell. There is also a stunning special effect near the very end of the show, but it would be highly remiss to reveal anything at all about this. 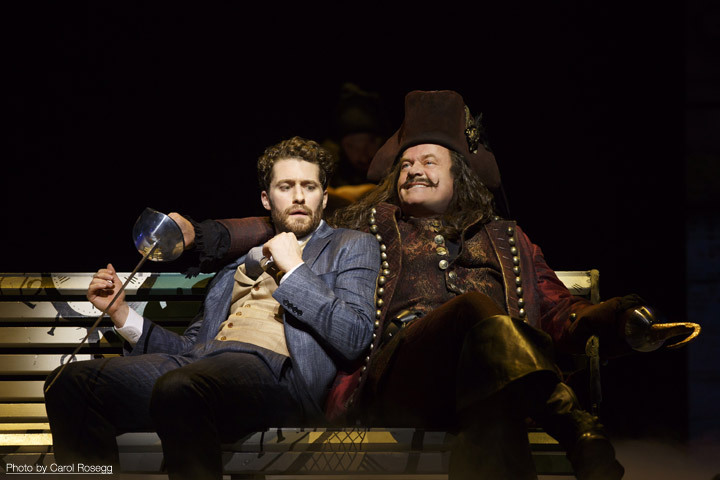 Broadway is all the richer for the return of leading Matthew Morrison, the rare music theatre actor who is not only a triple threat but also balances authentically masculine energy with an endearingly vulnerable side. Almost never off stage, Morrison puts his heart into the show and the rewards are significant. Kelsey Grammer, as blustering producer Charles Frohman, may seem like a bit of a television name to sell tickets, but his twinkling charm and confident sense of savoir-faire prove to be entirely welcome. 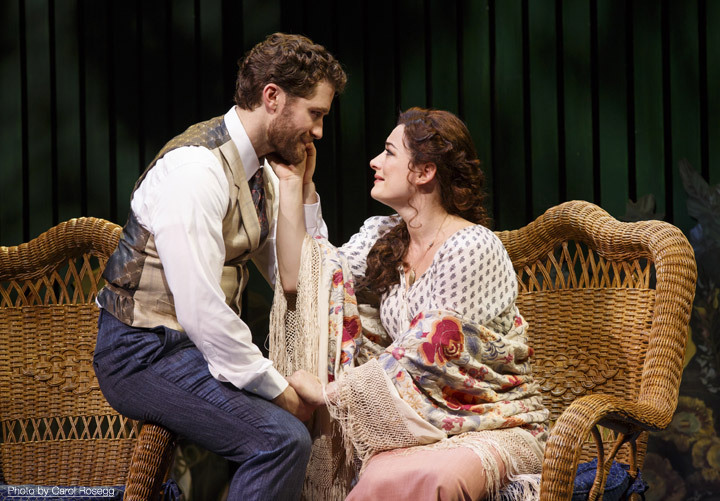 Laura Michelle Kelly sings sweetly and conveys a delicate allure as dear Sylvia. Carolee Carmello is all class as Sylvia’s society mother Mrs du Maurier, who may or may not be the inspiration for the crocodile in Peter Pan. All sorts of skills, energy and confidence are required of the four boys playing Sylvia’s sons in each performance. At this session, Aidan Gemme (Peter), Christopher Paul Richards (Jack), Sawyer Nunes (George) and Alex Dreier (Michael) worked together with real chemistry. Gemme showed particular maturity, creating clear bonds with the adults in Peter’s life. Despite evidence that may seem to indicate the contrary, Finding Neverland is actually not all that suitable for younger children. For all other theatregoers, however, it is highly recommended. Check you disbelief at the door. And take a tissue. 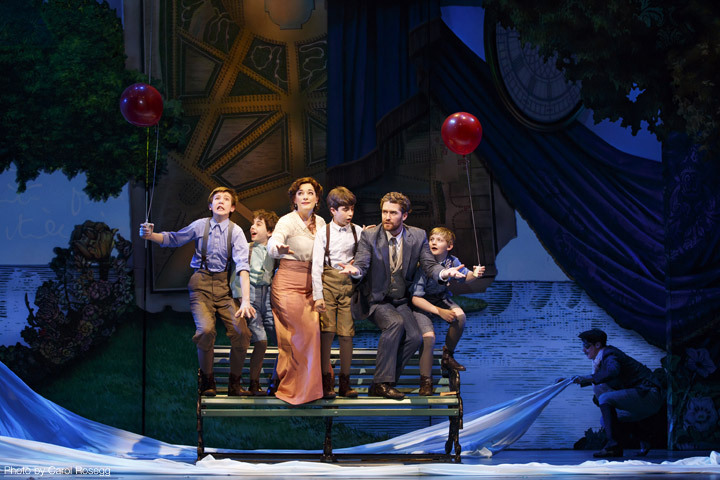 Finding Neverland was reviewed 8pm Saturday 4 April 2015 at Lunt-Fontanne Theatre, New York.